Sustainability – A growing number of companies are treating “sustainability” as an important objective in their strategy and operations to increase growth and global competitiveness. This trend has reached well beyond the small niche of those who traditionally positioned themselves as “green,” and now includes many prominent businesses across many different industry sectors. In many cases, these efforts are having significant results. There are a number of reasons why companies are pursuing sustainability: – Increase operational efficiency by reducing costs and waste – Respond to or reach new customers and increase competitive advantage – Protect and strengthen brand and reputation and build public trust – Build long-term business viability and success – Respond to regulatory constraints and opportunities Companies engaged in sustainability efforts include those of all sizes, ages and sectors. Companies move forward along the path to sustainability by improving performance and reducing their resource footprint. 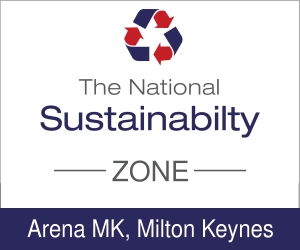 Join our speakers and exhibitors to find out how you can create a more sustainable manufacturing process. This text must be available in the boxes on the main page. Then when you click read more I want it to direct the person to the page we have just set up.